I have a colleague, which is great tester and super good lunch buddy, but she is also mother of two little boys. She would love to learn more about testing, but struggles to find the time for it. On the other side – me, doing hundred things in the same time and quite oft finishing only some of them. So we had an idea to read a book about software testing together. One week – one chapter, weekly discussions and thought sharing to keep our motivations high. 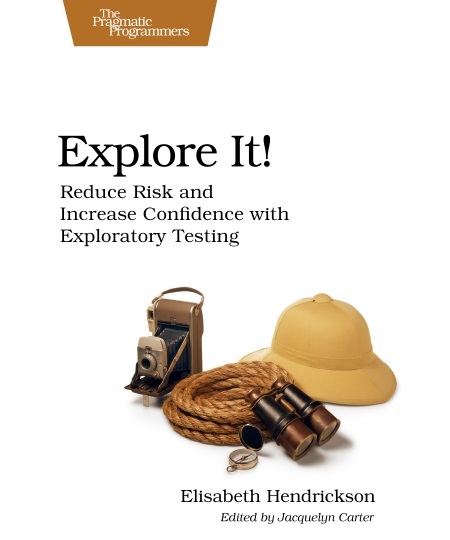 We start with “Explore it!” by Elisabeth Hendrickson. My colleague will read German translation, I – original English. We plan to start on Eastern. I will keep you posted how we will do. TestBash – I am finally coming!